With his stellar performance over the last few months, India's ace shuttler Kidambi Srikanth is in the news again after bronze medalist from the Rio Olympics, Viktor Axelsen stated that Srikanth poses a serious threat to his World Championship title dream. "There are a lot of threats on my way to gold at the World Championships. Srikanth of India has been playing really well, and there are the likes of Lin Dan, Chen Long and Lee Chong Wei as well," said the Danish star to PTI. Axelsen’s comment comes days before the event is slatede to start. The 2017 BWF World Championships of Badminton will be held between the 21st and 27th of August at the Emirates Arena in Glasgow, Scotland. The World No.3 admits that amongst the large pool of players participating, there are few he can count upon to do well at the Championships and he sees them as posing a major threat to his victory at the tournament. Although the Olympic bronze medalist beat Srikanth consecutively twice the last two times they met in court, they are locked head-to-head with a 2-2 count. 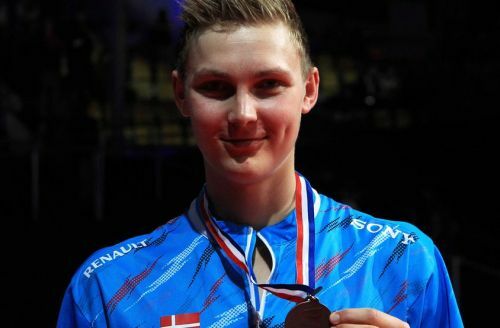 Making a comeback after a recent foot injury, Axelsen claims to be is excited for the World Championships, which is an event he looks forward to along with the Olympics and the Thomas Cup. Although his injury led to few issues, he has been training hard to regain his full fitness and believes he that he is getting more and more in form. He has quite the accolades to his name. He won the bronze medal at the World Championships three years ago and he currently holds the European and Thomas Cup titles as well. More recently, he went on to win a gold at the BWF World Superseries Finals in December last year and won the India Open in April earlier this year, defeating Chou Tien Chen in the final. With less than two weeks for the tournament to begin, there are plenty expectations that fans around the world have upon these players, besides the expectations they have set for themselves. With the kind of performance he has been showing, it comes as little surprise that Axelsen looks at him as a threat. It is nonetheless, a matter of pride for the country while the nation waits to see what magic these shuttlers will weave in the court this time.